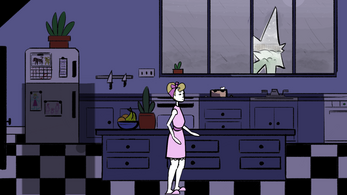 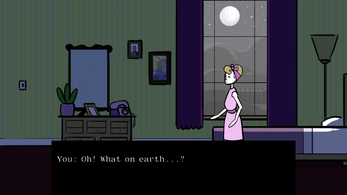 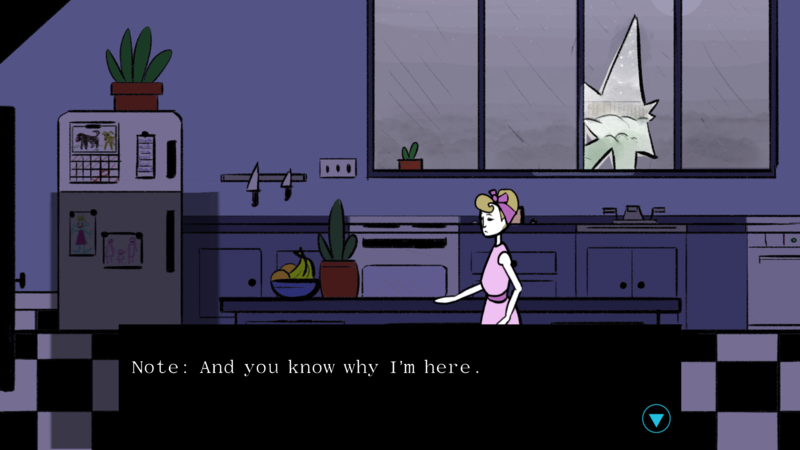 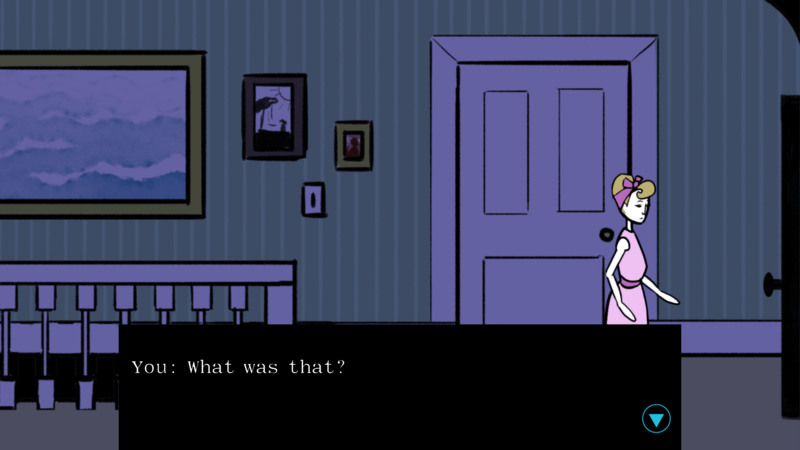 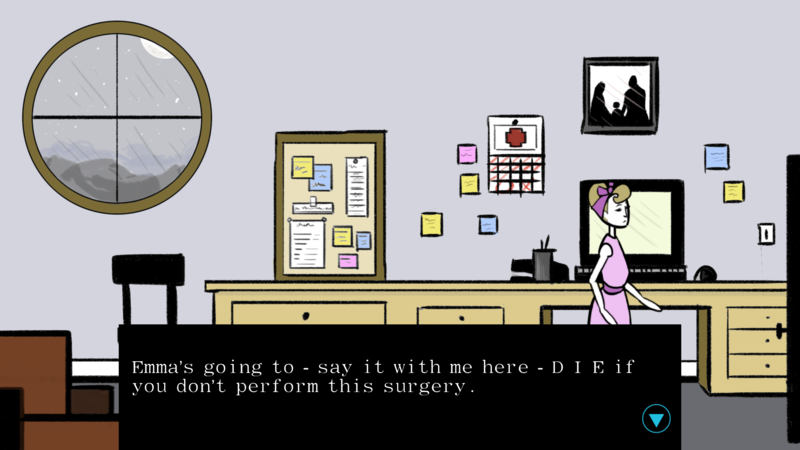 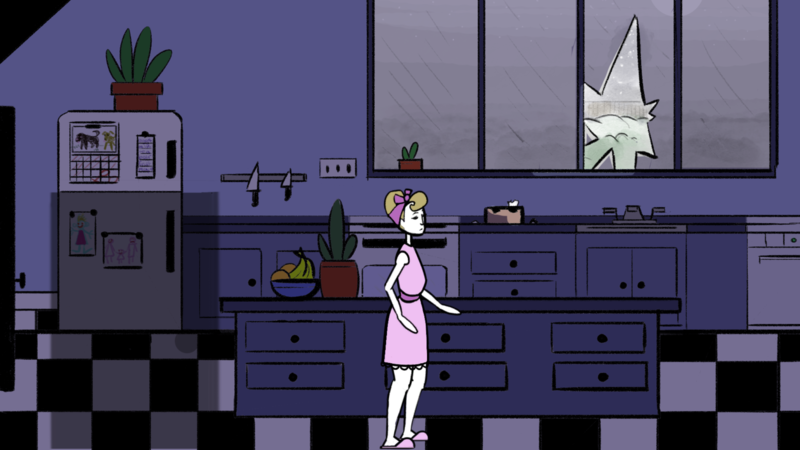 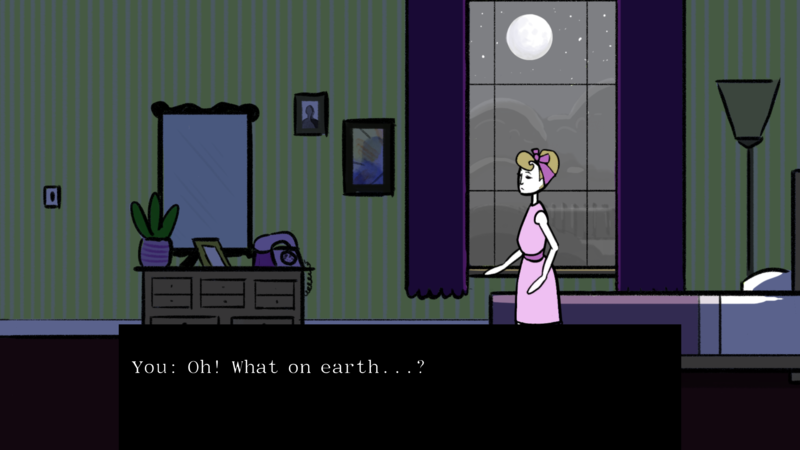 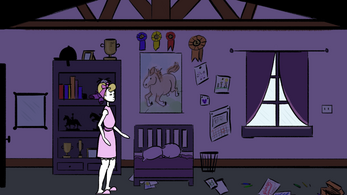 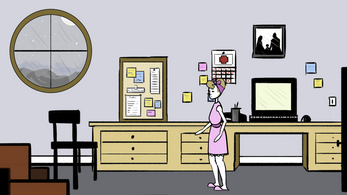 Two Sides is a short, non-linear, exploration-investigation based sidescrolling point and click adventure game. 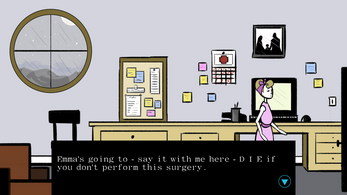 You play as Carol Bell, wife of the esteemed Dr. Roy Bell. 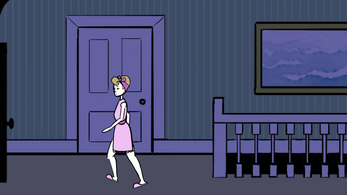 She is home alone one night when she is woken by the sound of glass breaking. Someone has broken in. 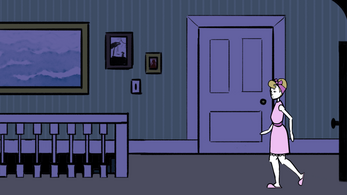 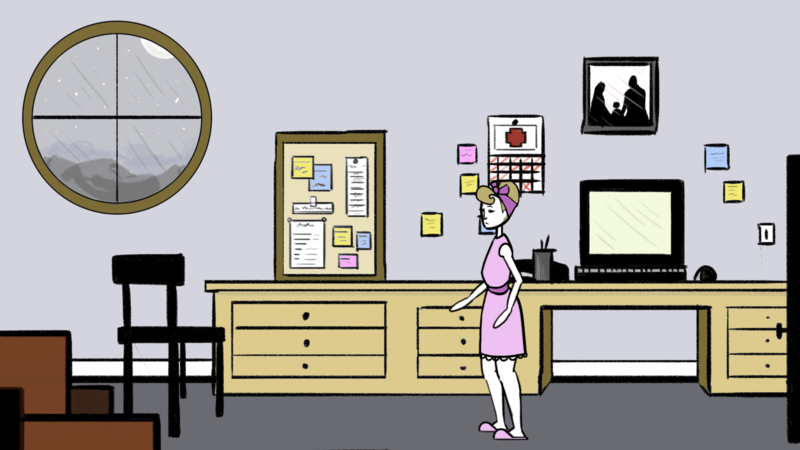 Explore her house, find out what's going on and confront the intruder! Pretty neat, one bug I did encounter was that if you leave the room immediately after finding the intruder, he just sort of appears in any room you go into, haha. 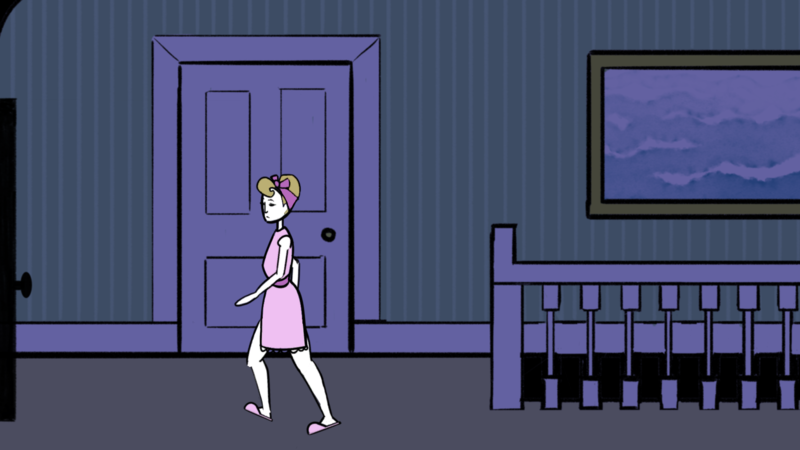 How do I get out of the bedroom?? 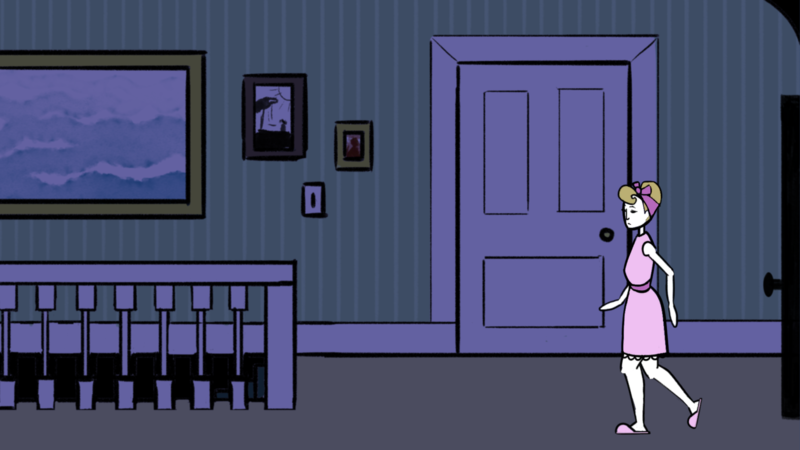 There isnt a door to go into, and im confused..
Clicking on the edges of the screen will make you walk from room to room.